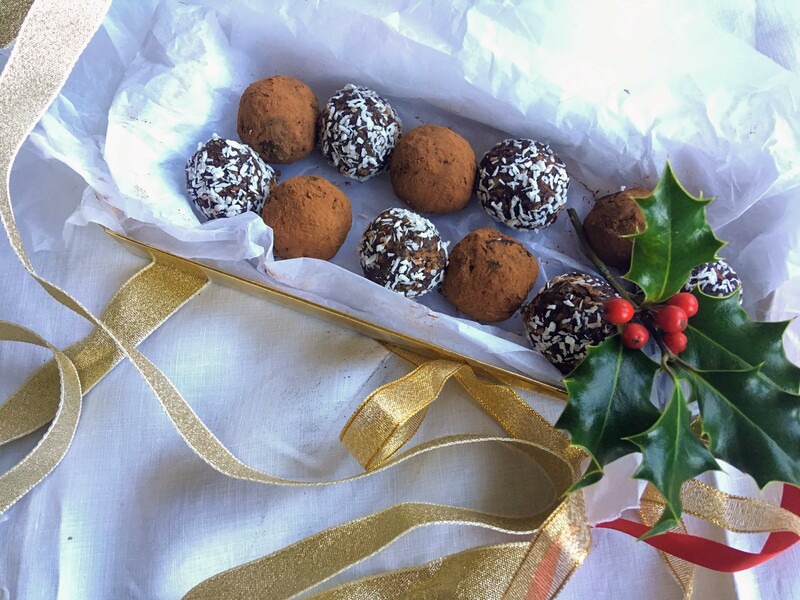 If you’re super last minute and fancy making a lovely Christmas present, then why not throw these easy truffles together. Think of this recipe as a base to which you can add additional favourite ingredients. Cherries, rum, brandy, chunks of chocolate, raisins – anything goes really! Wrap them up in a pretty box and you’re sure to please anyone! 1. Blitz the dates and pecans in the together in a food processor. Add the cocoa and blitz a bit more. Roll the mixture between your hands into balls and then roll the balls in either coconut or cocoa. 2. Keep chilled in the fridge.